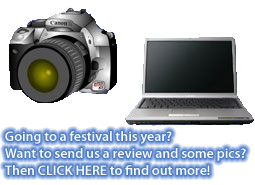 Festival Updates | Festivals in Australia 2012 | Built for Festival Fans by Festival Fans! LANEWAY FESTIVAL ANNOUNCES LINE UP! The Laneway Festival is thrilled to present its most forward-thinking and eclectic line-up to date. It’s all classic Laneway: the newest and most exciting acts from here and around the globe, programmed by music-lovers for music fans, delivered to you in an intimate, metropolitan setting. 2ND MELBOURNE DATE AND NEW ACTS ADDED! The folk at Harvest Festival are overjoyed to announce that Melbourne Harvest has officially sold-out and deeply thank the wonderful music and arts-loving folk of Victoria. As a result of this epic outcome, the decision has been made to provide a unique, one-off opportunity for those who missed out on tickets to miss out no more. 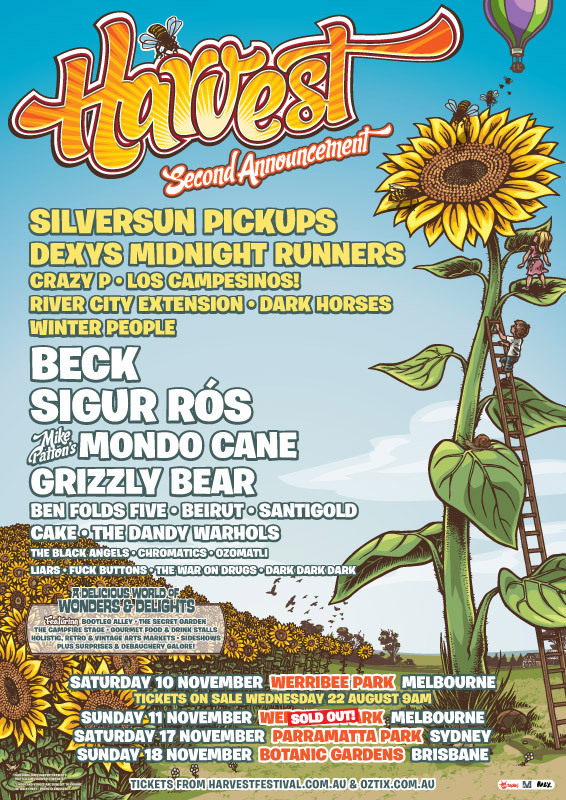 Harvest is elated to announce a SECOND MELBOURNE EVENT. This special additional show will take place at Werribee Park on Saturday 10th November with tickets on sale tomorrow, Wednesday 22nd August, at 9 am. 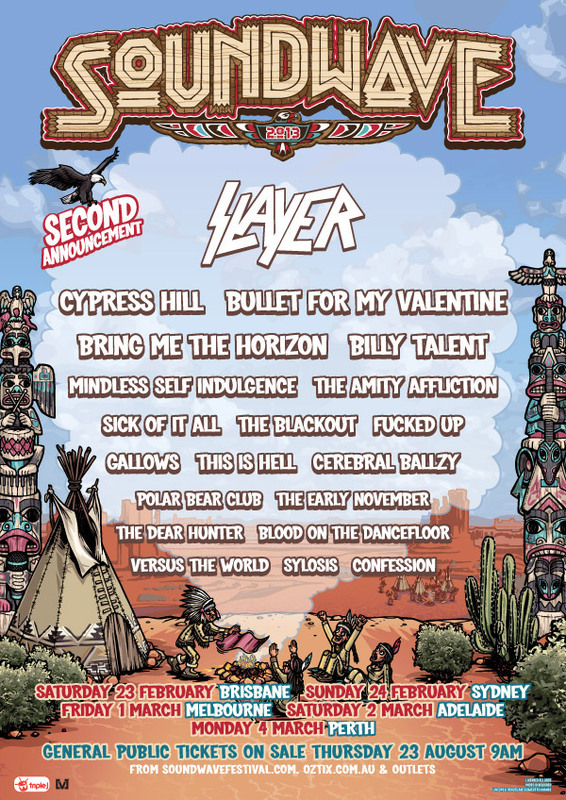 SOUNDWAVE 2013 SECOND ARTIST ANNOUNCEMENT! 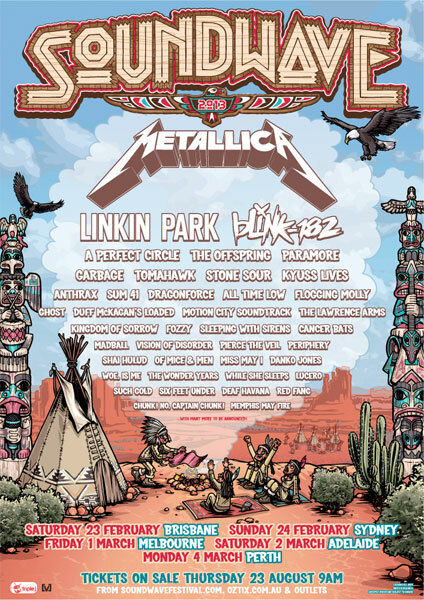 A couple of weeks ago we found out that this year’s Soundwave festival would feature top bands like Metallica, Linkin Park, Blink 182 and as there has been a huge demand for ticket pre sales festival organisers have now announced their 2nd round of bands! 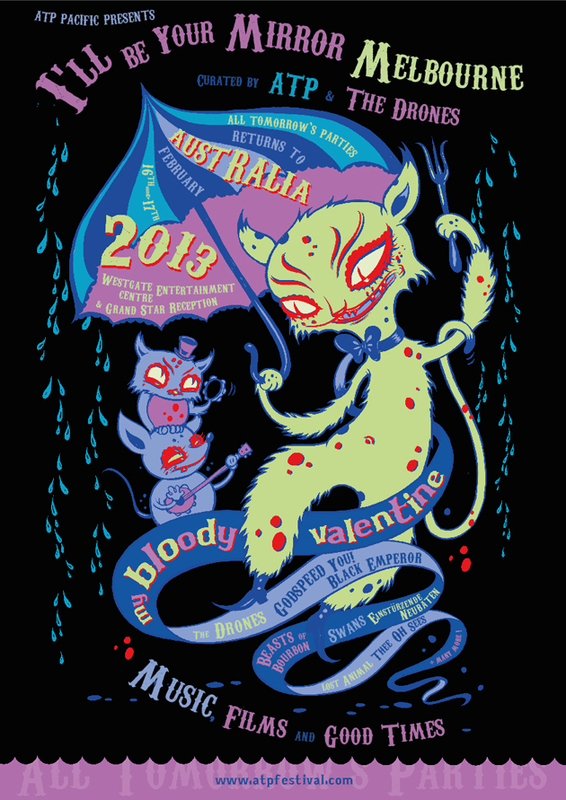 ATP RETURNS TO AUSTRALIA WITH I’LL BE YOUR MIRROR 2013! Described as the “ultimate mix tape”, All Tomorrow’s Parties is a boutique festival that goes against the grain of the larger, more commercial music festivals – with quality and customer experience coming first – presenting award winning sound and acclaimed organisation. Each new All Tomorrow’s Parties event invites an artist or band to handpick their favourite performers to play at the festival. 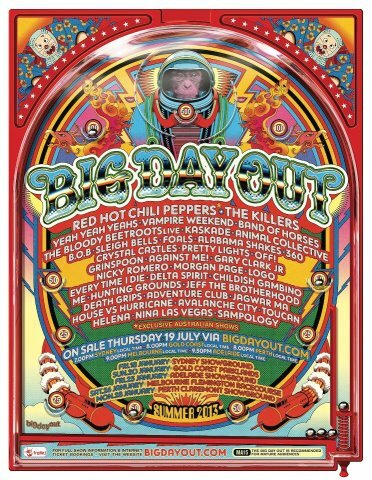 In 2009 ATP presented its inaugural Australian series of events headlined & curated by Nick Cave & The Bad Seeds at Mt Buller Victoria, Cockatoo Island Sydney and Riverstage Brisbane to widespread critical acclaim. 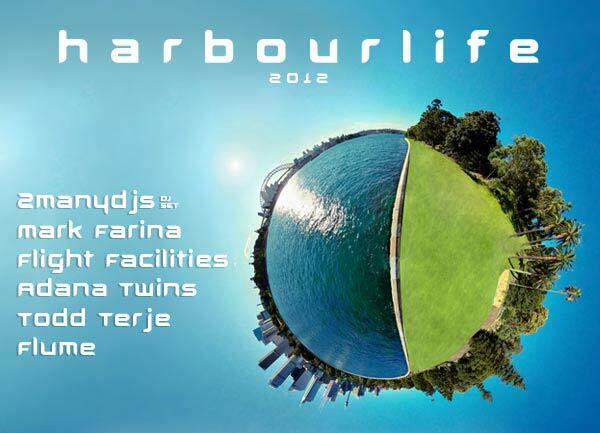 After years of fan emails and letters, ATP will return in February 2013 for a very special I’ll Be Your Mirror event in Melbourne. Acting as sister events to the ATP Festivals which usually take place in holiday resorts, I’ll Be Your Mirror is a series of artist curated music, film and art events taking place in cities worldwide, launched by ATP in 2011. IBYM is ATP without the accommodation aspect and is named after the b-side to The Velvet Underground’s original All Tomorrow’s Parties 7″ single. Joining ATP as guest co-curators for IBYM are Australian natives THE DRONES. The band have released a number of albums on the ATP Recordings label, and it gives us great pride and pleasure to ask them to co-curate this very special event – we consider them to be one of the country’s greatest ever bands and very worthy ATP curators. SOUNDWAVE FESTIVAL LINE UP ANNOUNCED! After a few months of rumors and self confirmations, Soundwave organiser AJ Maddah has finally released the first bands confirmed for this year’s festival and there are some big names – check them out! Tickets for Soundwave 2013 are $187. There is no transaction fee or postage this year, but there’s a transport levy of $2 if you’re heading to the festival in Perth or Sydney which covers your public transport to and from the event. Tickets go on general sale Thursday 23rd August at 9am! 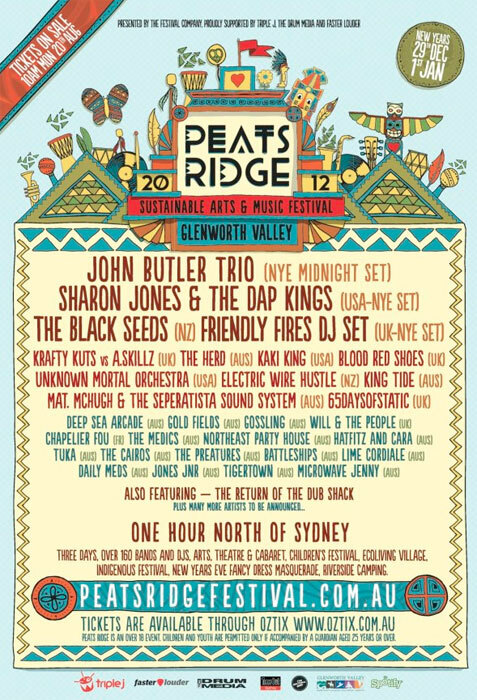 FIRST ROUND OF ARTISTS ANNOUNCED FOR PEATS RIDGE FESTIVAL! Things are hotting up over here at Peats HQ. Yesterday organizers announced the first installment of the lineup for 2012 and the reaction has been off the hook! It’s a date that has been a long time coming, so by the time John takes to the stage you can bet the atmosphere at the Festival will be utterly electric! MORE ADDITIONS TO QUEENSCLIFF LINE UP!